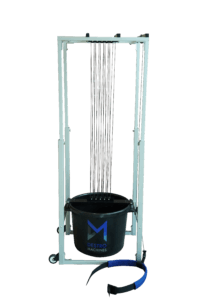 The Destro Swim Tower is the most effective and affordable resistance training tower ever made. The Destro Swim Tower’s adjustable resistance allows coaches to tune their training to an athletes specific needs. Higher resistance training will benefit a swimmers explosiveness, athleticism, power and speed. While, lower resistance will benefit an athlete’s endurance, technique, and feel. Swim towers also create a fun and exciting atmosphere for athletes and allow greater flexibility in a coaches practice strategy. One of the most powerful benefits for coaches is the ability to handicap athletes relative to each other. For example, a very elite male swimmer may be able to slack off if he is training with a group of less talented swimmers. 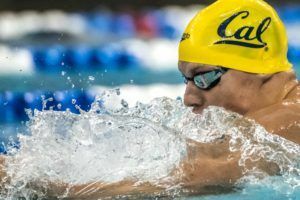 However, if we make the elite swimmer pull half a bucket, while the less talent swimmers pull a quarter of a bucket, we can even the playing field and increase the competitiveness of the practice environment. The Destro Swim Tower is beneficial for all types of swimmers. 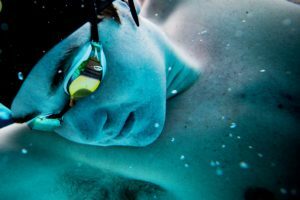 Distance Swimmers – Create muscle confusion and additional fatigue on the swimmer to increase endurance. 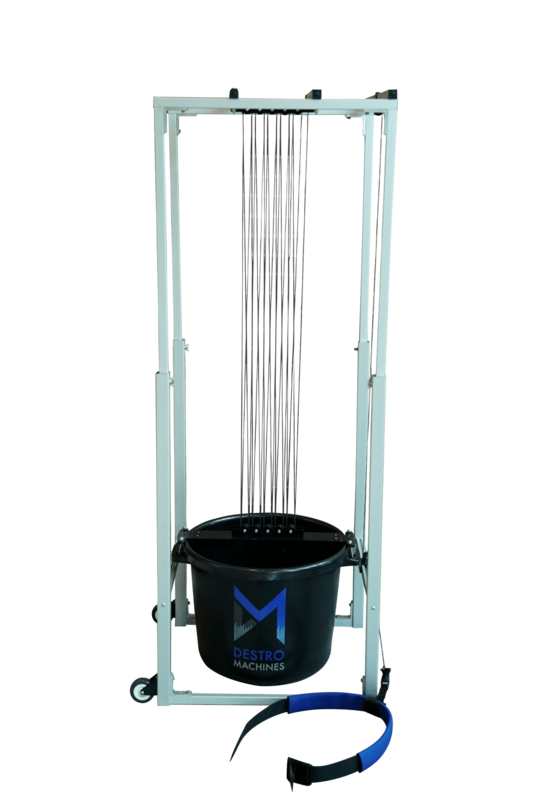 Destro Machines is happy to announce its release of The Destro Swim Tower. To celebrate the public release of our tower, Destro Machines is offering a one month long Preorder discount. August 1st through August 31st you can Preorder your own Tower for $995 (MSRP $1195). We will begin building orders Sept 1st. Smooth Resistance: Our design fixed the ‘jerkiness’ issue seen in the past. Our shipping can be as low as $50 a tower. With further discounts for multiple orders! The Destro Swim Tower provides teams with an affordable option; gone are the days where you need over $3000 to get your athletes the resistance training that they need. 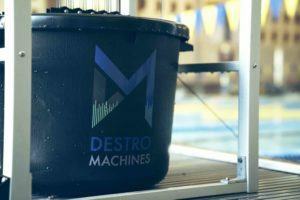 Destro Machines is a family and swimmer owned company. 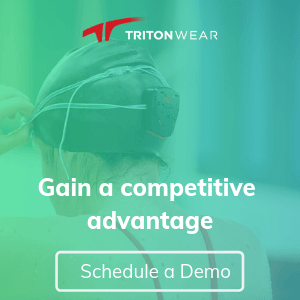 We were founded in 2015 when we realized that swimmers and coaches were lacking the effective and affordable training technology required for them to reach their goals. 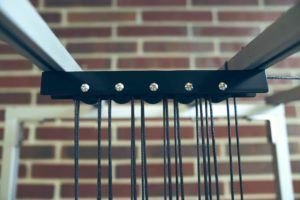 Our team of engineers, has spent months working with Division I College and top tier highschool programs to develop a tower that’s not only less expensive, but also more effective than any other resistance training system available. Swim training courtesy of Destro Machines, a SwimSwam partner. What about a 50 meter version. Can I order one????? Please check out our website. Our Power Crosses can be made to go up to 50 Meters. We don’t currently make a 50m version of the Swim Tower, however, if you contact us directly through our website, we can design a custom solution to meet your needs. There’s just one bucket though where as the other towers I have seen have 2 buckets per unit. So the price isn’t actually as big of a break as it seems. Just saying. But they look nice! You are correct. However, the reduced size also allows the shipping to be significantly less expensive. After shipping is accounted for, our towers can cost around $1000 less per pair vs the competitor.